In an unprecedented study, researchers have analyzed the full DNA sequence of a fern. 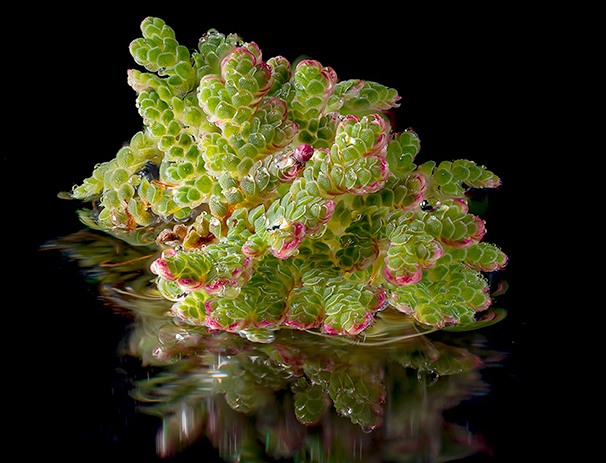 The team was so determined to examine the genome of the floating water fern, Azolla filiculoides, that they set up an online campaign to raise money for the project. Study first author Fay-Wei Li is a professor at the Boyce Thompson Institute. Professor Li started out on his mission to inspect the Azolla genome when he was a graduate student at Duke University under the advisement of Professor Kathleen Pryer, who had been trying to get the project funded for almost 20 years. The duo created an online campaign on a crowdfunding site called Experiment.com. This strategy proved to be so successful that the project received 147 percent of its goal, bringing in $22,160 from 123 supporters. The campaign also led to an offer from the Beijing Genomics Institute (BGI) to provide all of the sequencing for the project free of charge. Professor Li explained why the researchers found this particular project to be so intriguing. “Azolla has a really cool biology and evolutionary history,” said Professor Li. “Azolla engages in symbiosis with cyanobacteria for nitrogen fixation, and for this reason it has been used as a green manure for rice paddies in Asia for hundreds of years. The analysis revealed that Azolla lacks the genes needed for the more widespread arbuscular mycorrhizal and root-nodule symbioses, which the water ferns do not create. The ferns were found to contain several genes specific to their interaction with Nostoc, the cyanobiont, which had been previously sequenced. “Now that we have genomes available for both the fern and cyanobacterium, there is great promise for tapping into the secrets of this natural biofertilizer that may help lead to future sustainable agricultural practices,” said Professor Pryer. The researchers were excited to discover the origin of an important insecticidal gene in ferns. The gene has been recently isolated and transferred to cotton plants, where it protects against insects. “When you walk into a forest, it’s usually very striking to find that ferns show little to no sign of insect damage,” said Professor Li. The insecticidal gene was found to be unique to ferns, which explains why most other plants are not nearly as resilient. The experts also found that the gene was most likely transferred from a bacterium. “In other words, the ferns’ ability to fend off insect herbivores is likely due to a ‘genetic gift’ from bacteria,” said Professor Li. With the extra project funding, the team also sequenced a second fern, Salvinia cucullata. The analysis of these two genomes has answered many questions and has also raised some new ones, so the researchers plan to continue sequencing ferns. The study is published in the journal Nature Plants.